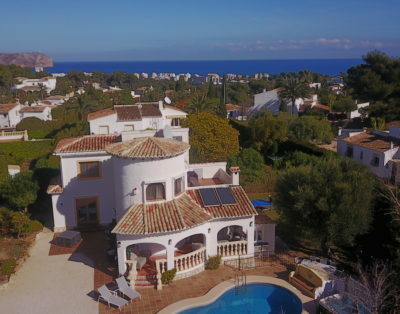 Fabulous Holiday Villa with panoramic sea views in Javea, Delightful 4 bedroom, 2 bathroom villa set in a quiet urbanization, with WIFI, Freeview TV and Netflix. Available for winter and summer lets. 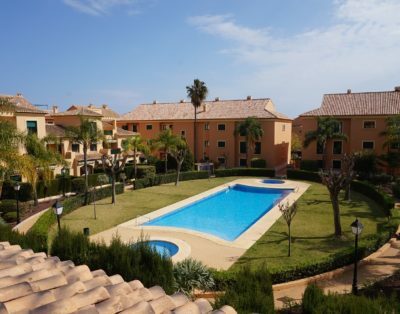 With a lovely open naya overlooking the resort of Javea and views out to the Cabo San Antonio light house. This villa has Spanish charm with a modern twist, well kept large garden which is home to a charming casita and 8 x 4 swimming pool to cool you off in those warm sunny days. The lounge and dining room spread across the front of the villa enjoying beautiful panoramic views and has air conditioning and a wood burning stove . The Master bedroom is spacious and has patio doors leading out onto the front naya and enjoys the spectacular views. It also has air conditioning and en suite. Two twin rooms one with A/C and one double room enjoy the garden and pool views, along with the family bathroom.